KANSAS CITY, Mo. -- A man accused of holding his former girlfriend captive in a crate at their home in western Missouri then fatally shooting her and her teenage son, was shot and killed Saturday, authorities said. Law enforcement officers killed James Barton Horn Jr., 47, at a state wildlife area in western Missouri, south of Knob Noster, Henry County Sheriff Kent Oberkrom said. Authorities have been searching for Horn since late April when he was charged in the kidnapping of 46-year-old Sandra Kay Sutton. Prosecutors said Sutton told police that Horn kept her in a wooden crate off-and-on for four months at their home in Sedalia, some 90 miles southeast of Kansas City, Missouri. Sutton and her 17-year-old son, Zachary Wade Sutton, were found dead Thursday at a relative's home in Clinton, about 45 miles from Sedalia. Police said the victims had been shot to death. Sutton moved in with her relatives after she escaped the home she had shared with Horn. Oberkrom said officers found Horn hiding in a closet in a building at the J. N. Turkey Kearn Memorial Wildlife Area, about 70 miles southeast of Kansas City. He said officers were led to the area by a tip they received Saturday morning. When officers told him to surrender, Horn threatened the officers with a weapon, Oberkrom said. He did not know what kind of weapon Horn had. Horn's death was a relief for the community, Oberkrom said. "A lot of folks are very scared of this individual," he said. "There's a huge amount of relief." Police say Horn locked Sutton inside the box whenever he was leaving the house. The box - 100 inches long, 48 inches wide and 52 inches tall - was kept in a bedroom and contained a bucket full of urine and feces along, with several layers of insulation, padding and sleeping bags, and a small air hole. Sutton escaped April 30 and ran to the home of a neighbor who called police. Horn was gone by the time police arrived. Police on Friday announced a $5,000 reward for information leading to Horn's arrest. 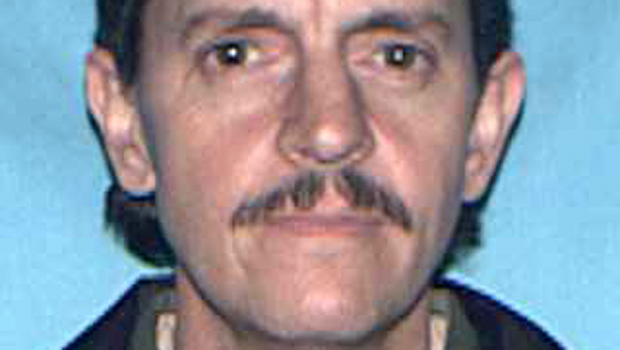 Horn served about three years in prison in Tennessee in the early 1990s in connection with a kidnapping and sexual attack. Records also show he pleaded guilty in 1997 in Mississippi to unlawfully kidnapping and abducting his estranged wife. He was sentenced in that case to 12 years and 11 months in prison, plus five years supervised release. He was released from custody in December 2011, and his probation jurisdiction was transferred in 2012 to Missouri, according to online court records. He was still under federal supervision when he was charged with kidnapping Sutton, said Chad Lamar, spokesman for the U.S. Attorney for the Northern District of Mississippi.